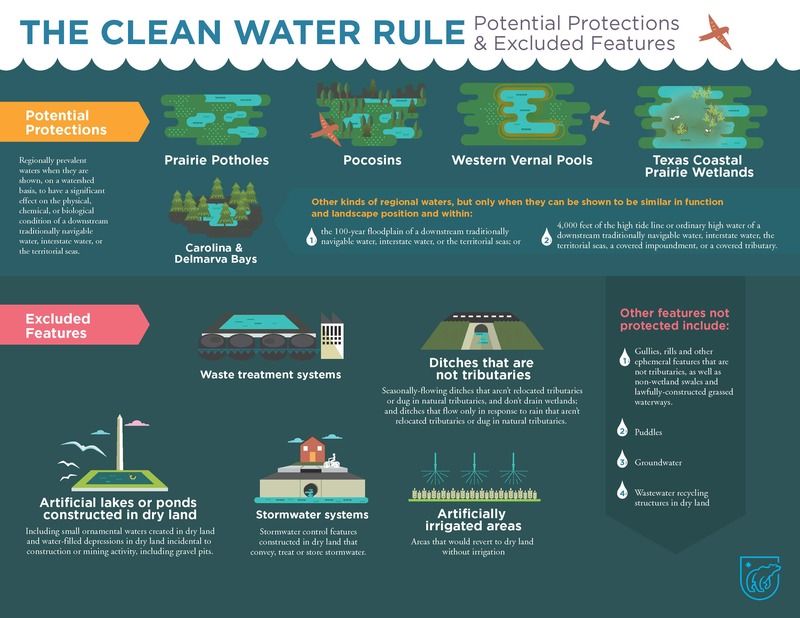 The Dirty Water Rule, if finalized, will strip Clean Water Act protections from all rain-dependent streams. That’s at least 18% of stream miles nationwide. It will also remove protections from at least 51% of wetlands across the country. The Rule could get even worse for our water. The Environmental Protection Agency and the Army Corps of Engineers have invited comment on whether the Dirty Water Rule should also wipe out safeguards for intermittent or seasonal streams. The Agencies have also asked if the final Rule should exclude wetlands with a hydrologic, but no surface connection to other waters from Clean Water Act protections. Bottom line: the Dirty Water Rule is bad for our water, our health, and our communities. Coalition experts are digging into the rule. We’ll update the page with more information, fact sheets, and other resources as we learn more. Download the latest factsheet about the Dirty Water Rule here. Learn more here and here. See other coalition responses here. 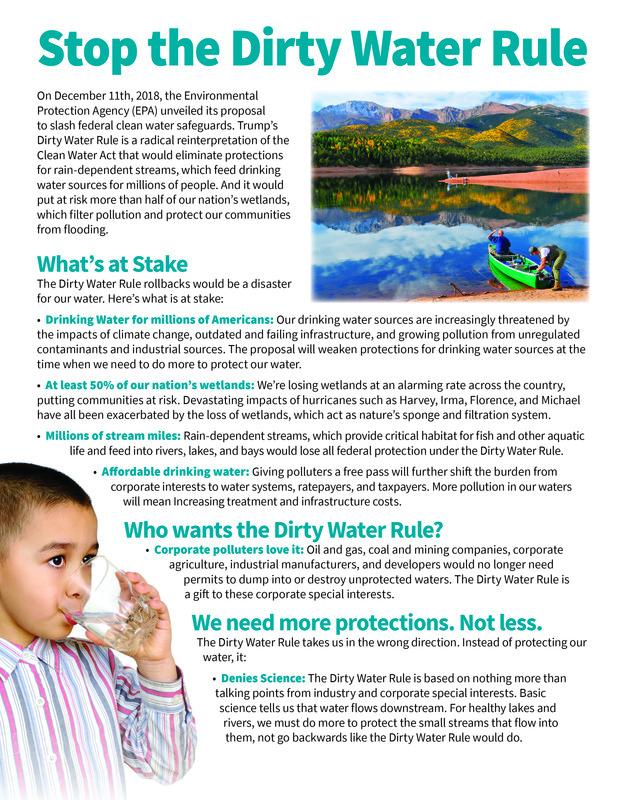 Take action to stop the Dirty Water Rule! 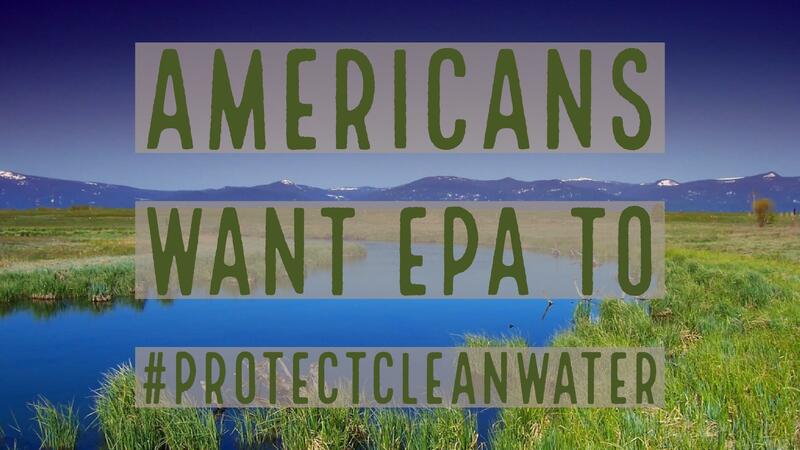 Visit Clean Water for All Coalition partners to let EPA know that you oppose the Dirty Water Rule! Read additional letrers, blog posts, and more about the Dirty Water Rule here. 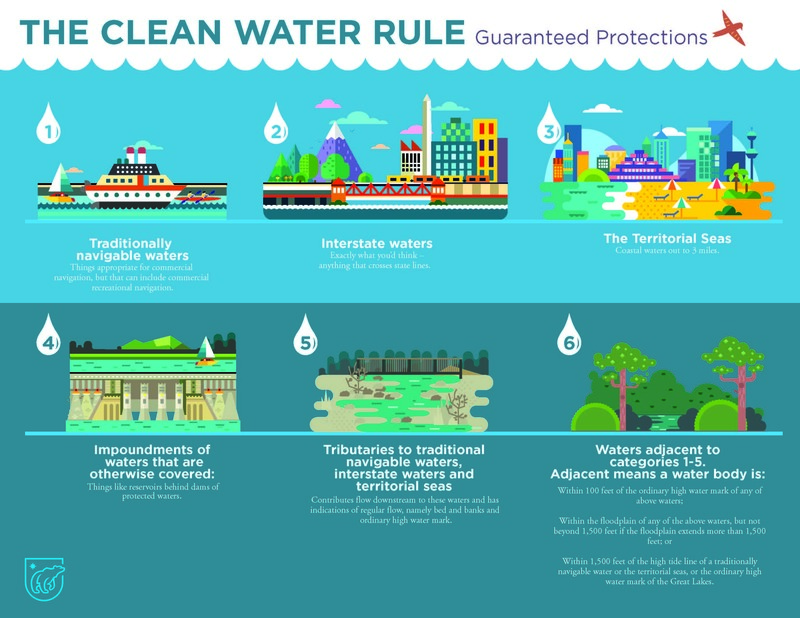 Learn more about the Clean Water Rule – visit the EPA Web archive here.